Cyrus Shepard Founder of Fazillion Media. 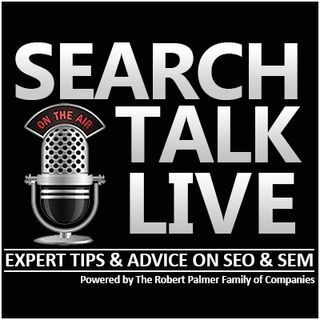 Former Head of SEO & Content MOZ Joins Search Talk Live to discusses SEO experimentation/split testing and setting up clients for success. Cyrus brings over a decade of SEO knowledge and experience to share with the listeners. With several years of experience, building engaged traffic through SEO best practices. He has loads of experience in building successful consumer websites, online e-commerce, search engine marketing (SEM), content ... See More marketing, product development, and growth. Previously Cyrus led the SEO team at MOZ and teaching others introducing him to 1000s of top online marketers across the globe. As an SEO consultant, he has worked with dozens of startups and Fortune 500 companies to craft online growth and optimization strategies to increase qualified audience share across inbound channels. Along with this comes experience in product development and product marketing. Cyrus is also an established Speaker and Marketing Evangelist speaking at large Digital Marketing Conferences such as MozCon, SMX – Search Marketing Expo, Marketing Festival, Marketing Nation Summit, MnSearch Summit and more. Awe.. Awesome hope you are doing well. Hi Robert! Listening from the Bahamas.